Before I had my baby last year, I had a lot of discussions with experienced mamas on breastfeeding. I knew “breast was best” for my baby and wanted to do my best to ensure that it could be a great experience for both me and my baby. I was so grateful for the advice I was given from sisters and friends after I had the baby, because even though it was tough in the beginning and still is every once in a while (my baby’s almost 8 months and breaking through his 5th and 6th tooth…) , it’s really been a beautiful bonding experience between me and my little man and I’m so glad I had help to keep going those first 6 weeks. I totally understand that there are circumstances out there that prevent you from nursing and I judge no one for that. We’re all just trying to do our best. This post is mainly meant for mamas-to-be or struggling mama’s who want some advice on making breastfeeding an enjoyable experience. 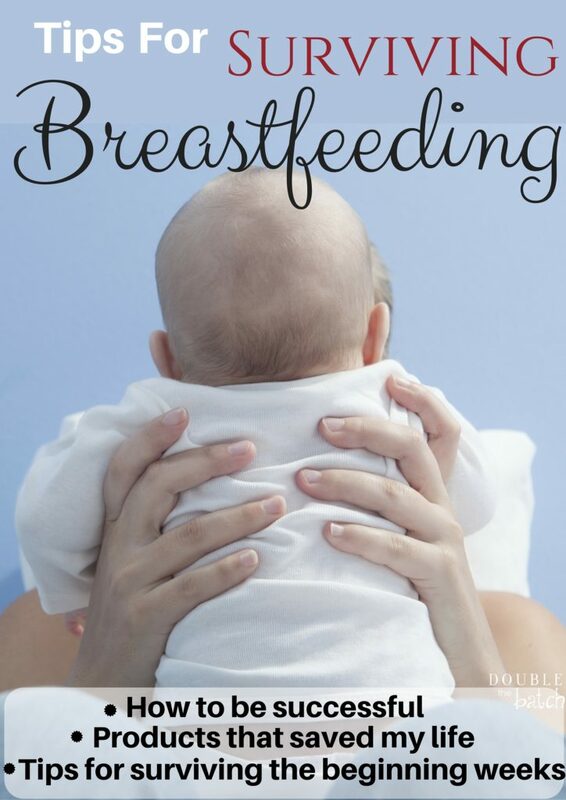 I’ve asked over 50 experienced moms what ONE thing they would recommend to help make breastfeeding easier in the beginning and then I compiled them all together into 10 helpful tips for surviving breastfeeding! Please feel free to add any of your own success tips in the comments below! 1.) See an IBCLC. What is an IBCLC? Angels I tell you. 😉 An IBCLC is an International Board Certified Lactation Consultant. They specialize in BREASTFEEDING. You can even see one before you have your baby so that you’re better prepared when you’re having your first breastfeeding session. There are also, usually, a lactation consultant in the hospital (if you’re doing a hospital birth) that would love nothing more than to help guide you. I loved the one I had in the hospital with my baby. She was so encouraging and taught me all sorts of tips and tricks that the nurses had no clue about. I recommend seeing a Lactation consultant as number one because I believe it’s so important. I don’t believe breastfeeding should be excruciatingly painful. Please get help if you’re having a hard time (or even if you just want some guidance). They are also really great for looking for lip and tongue tie on your baby, which can definitely make a difference in your breastfeeding. 2.) Relax. Yes, relax. Take a deep breath. Not every baby latches on and is proficient in the beginning. Try not to cram too many visitors and things into your schedule. Let your main focus be to just establish nursing with your baby. It might feel like you are literally nursing around the clock so just find a comfy seat and your netflix remote and let baby nurse for as long and as frequent as he/she needs. In the beginning I tried to keep my baby on a schedule and it just made both of us stressed and frustrated. I finally just relaxed and let it happen as it needed to (thanks to advice from my sisters and mother-in-law) and we were both much happier. 4.) Stay Hydrated. Something about whenever my baby latches on causes this extreme thirst in me. I have to believe there’s a reason for that. I’m not sure if drinking water will necessarily increase your milk supply but dehydration can certainly decrease it so keep a water bottle or glass next to you when you nurse to make up for what your body uses to produce milk. 5) Breast Pump. My sister loaned me her Medela Electric Pump and I used it a lot in the beginning. It was super helpful for when I was engorged, trying to increase my milk supply, or just pumping to leave a bottle with someone who would be watching him. 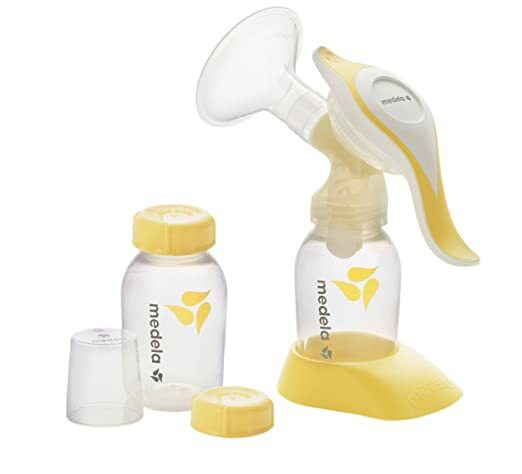 After a few months though I finally bought a Medela Manual Pump so I could easily pump when I was out and about and if I went out with my husband for a few hours without the baby. Some people swear by the Electric pump but I surprisingly enjoyed the manual one much better and never used the electric after I bought the manual. 6.) Nursing Pillow. Not everyone believes a nursing pillow is necessary but I will tell you why it’s been necessary for me. There have been so many times and long nights where I’d be nursing my baby and I’d drift off for a few minutes… or longer (trust me, it’ll happen). He’s cradled in my arms so he’s probably perfectly safe but the nursing pillow added an extra protection and comfort for me. I also enjoyed the pillow because it offered extra support so my arms weren’t taking all the weight. 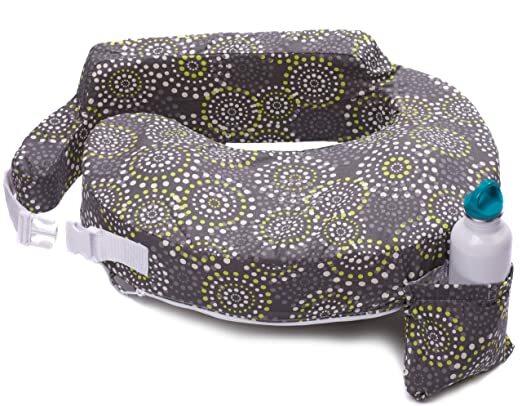 A lot of women recommended the Brest Friend Nursing Pillow which seems pretty cool to have it wrap around you and to have a water holder but I’ve been using the Boppy and am perfectly satisfied. 8.) A Cheerleader. Whether it’s your husband or a close friend or a family member, have someone you can go to who will support you in all your struggles and encourage you not to give up. My sweet husband woke up with me for every feeding that first week outside of the hospital and helped me through every little struggle of trying to get our baby to latch. My mother-in-law must have sensed my frustration with nursing as well a couple weeks in because she sent me a sweet encouraging email with some helpful ideas. Having cheerleaders like that can help you get through the rougher moments of wanting to give up. 9.) Patience. Give it time and don’t panic. Those first couple of weeks can be hard and frustrating but trust me, it will get better. I promise. 10.) Skin to Skin. When I wasn’t doing skin to skin, I would have my husband do it as much as we could. There are so many studies that have been done on doing skin to skin with your baby and successful breastfeeding (as well as countless other benefits). Don’t get discouraged. There are so many things out there now to help make nursing easier for you. And what a beautiful bonding experience it will become for you and your little one. You are awesome Mama! Experienced Mama’s: Anything you would add?